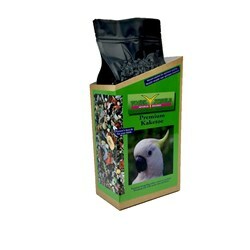 .Also for the cockatoo other packaging but the same content. Because a vacuum pack avoids air, light and moisture, the content of fragrance, color and preservation of minerals and vitamins is guaranteed for much longer! This healthy mix contains seeds and fruit of the highest quality and the last available harvest such as cocos, almonds, banana, walnut and of course the macadamia nut. 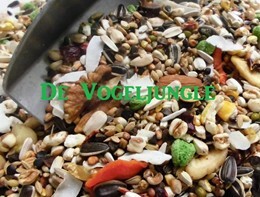 A perfect mixture that shows a beautiful and healthy color palette and will stimulate the nose and curiosity of the bird!